Grantham girl made good Callaghan is back at Town Hall Live. She last played in March 2017 and a year later she released her latest album ‘Callaghan’. Her story is well known. In 2019, whilst living in London she sent a demo tape to one of her biggest influences, Shawn Mullins. Shawn was impressed and an invited her over to Atlanta to produce her first album ‘Life in Full Colour’. It was a classic story of taking risks, of willingly throwing your life into upheaval in order to chase your dreams. She stayed three years in Atlanta before moving to Nashville and then LA. In between times she constantly toured America playing 46 states performing at packed venues across the country logging 50,000 miles a year. Obviously, she did not forget her home root and has played bi-annual UK tours since 2014. This concert will be the fourth time she has played THL and on each of the three occasions has played too sold out audiences. Blessed with a beautifully sweet and soothing voice, a strong knack for pretty and harmonic melodies, and a firm grasp of smart and thoughtful song writing, Callaghan has a warmth and purity of spirit that shines through in her performances. 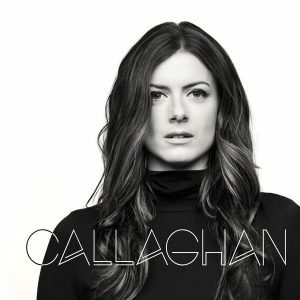 Since her debut album and latest offering Callaghan has released two other full length albums ‘A History of Now’ and ‘Acoustic Coffee House’ and two EP’s that morphed into ‘Callaghan’. Her music blurs the edges between pop, adult contemporary and Americana. For her latest tour she will be accompanied by musicians and a support artist still to be announced. Watch this space, but whatever you do don’t miss this concert. It will be special. 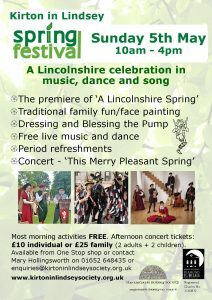 Advanced Tickets are priced at £14 and can be obtained from One Stop (Kirton), from Brian on 01652 649230, or from www.wegottickets.com. Error: Error validating access token: Session has expired on Saturday, 23-Mar-19 02:32:21 PDT. The current time is Thursday, 25-Apr-19 19:06:54 PDT.